Large, private gite with 3 en-suite bedrooms. Outstanding views from private terrace/garden. Large shared pool. UK satellite TV, free WiFi. Rural setting but close to village with all amenities. 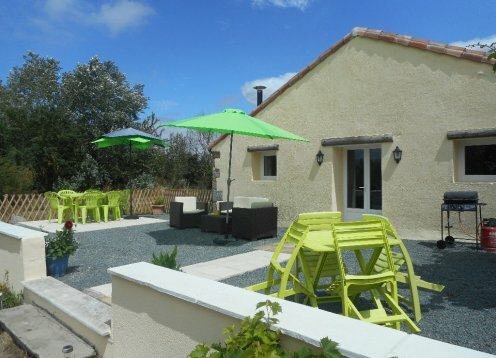 Family-friendly gite with 3 bedrooms. Outstanding views from private garden. Large shared pool. UK satellite TV, free WiFi. Rural and private setting but close to village with all amenities.